I can’t believe it’s already one month ago that I first learned about this great project: 101 things in 1001 days, or the Day Zero Project. I got so excited about this project, I couldn’t wait to start my own! But of course I couldn’t just make a list and keep things simple. I decided I wanted to blog about my goals as well! I think this will help me always keep my list at the back of my mind. And of course, I love to write, so why not seize this great opportunity to do so? This decision to blog however, resulted in postponing my 101 things for a little while. But this week, I finally found the time to build my website. So at last I can start my Day Zero Project! Yay! If you’d like to know why I’m so thrilled about doing this project, please read ‘My story’. 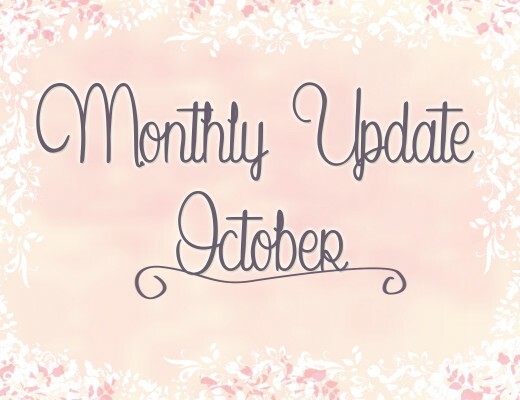 If you can’t wait to see my list, then read on! All the goals on my list are meant to challenge me somehow. Some may seem simple to you, but there’s a bigger meaning behind each goal. I will go into greater detail when I’ll blog about them. The goals I’m working on are italic and pink and the goals I achieved are bold and green. The starting date of my Day Zero Project is 29-10-2014. That means the last day of my project will be 25-07-2017. Okay, enough babbling, here’s my list! Buy a piggy bank especially for this project. Put €5,- in the piggy bank for each accomplished goal to spend on something special after the project. For each unachieved goal, deposit €5,- to a charity of my choice, involving animal welfare. Write a blog post of each accomplished goal, the goals I’m currently working on and the goals I get stuck with. Visit a professional photographer to shoot pictures of me for my website and social media. Attend a seminar or webinar related either to writing or to building your own company. Learn how to photograph with a SLR. Learn how to knit. Then take a picture of a finished project. Learn how to crochet. Then take a picture of a finished project. Learn how to sew using the sewing machine. Then take a picture of a finished project. Learn at least one song on the guitar and upload it on YouTube. Attend a workshop of my interest. Learn how to belt. Then upload a video on YouTube of me successfully belting in a song. Regain my knowledge of the French language by speaking, reading or listening to it every day for two weeks in a row (at least 15 minutes each time). Learn basic Italian, then have a simple conversation with an Italian person. And let my creativity flow. Learn how to create zentangles. Then fill a sketchbook with zentangles. Perform in a music concert for at least half an hour. Make a scrap project just for me. Buy or make a small photo studio. Own a ‘Wreck this Journal’ and complete all the tasks in the book. Own either the diary ‘One line a day’ or ‘Q&A a day: a 5 year journal’ and write in it every day. Answer “50 questions that will free your mind”. Upload a video on YouTube (in English) in which I teach something I know a great deal about. Exercise 5 days per week, at least half an hour each time for a month. Don’t drink soda for two weeks in a row. Drink a jug of water every day for a month. Turn my house into a home. Finish painting the secretary desk. Paint the wardrobe and start using it. Paint the dining room furniture and reupholster the chairs. Paint the side table in the living room. Make some pallet art and hang it. Create a photo wall in the hallway. Turn the third bedroom into a library. Buy a nice ceiling lamp for the bedroom and hang it. Construct a pathway in the front yard. Organize things that are important. Organize all the pictures on my computer and create a backup. Design a photo book online and send it to myself. Keep a (personal) cashbook for 3 months straight. Be the best cook I can be. Bake a cake and decorate it with fondant or marzipan. But don’t forget to relax in between! Play video games a whole day long. Have a movie marathon of at least 5 movies. Go unplugged for 2 days in a row: no cell phone, iPad, computer or TV. Visit the butterfly garden in the zoo ‘Diergaarde Blijdorp’. Have a snow ball fight. Go see a professional musical. Go to the Elf Fantasy Fair (Elfia). Go see a dance performance. Visit one of the Wadden islands. Visit a city in a carriage. Host a homemade high tea for friends or family. Go on a picnic with someone. Host a barbecue in the backyard for friends or family. Surprise someone on a random day with a homemade cake. Send a surprise package I assembled myself to someone I care about on a random day. Practice loose leash walking each day for a month, by taking separate walks with each dog. Do a brain game with each dog every day for a month. Attend a doggy dance workshop. Special goal – added on June 10, 2015. 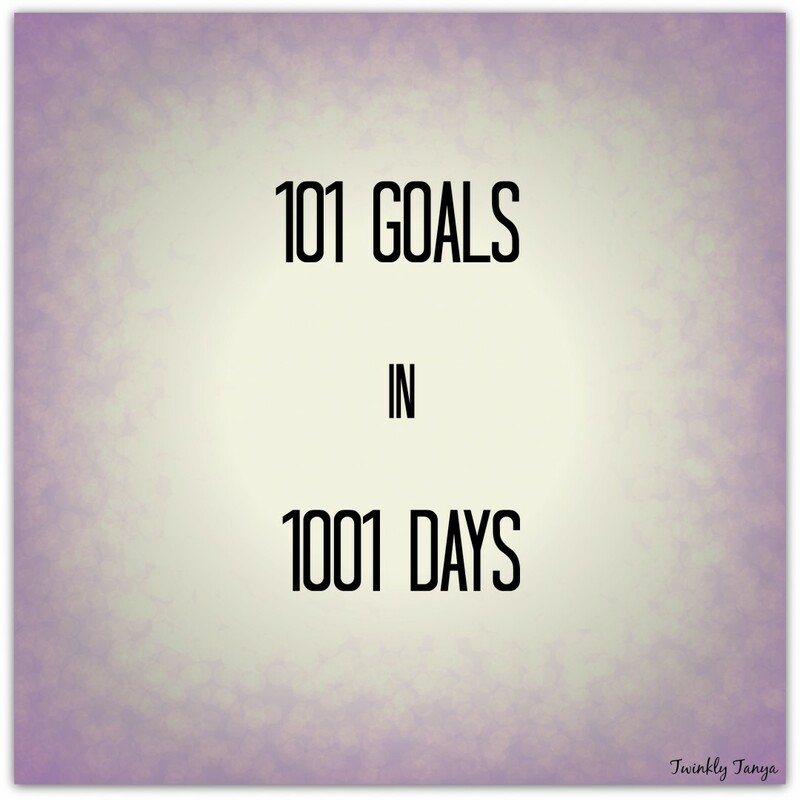 Are you also trying to accomplish 101 goals in 1001 days at the moment? Or did I inspire you to do so, perhaps? Please leave a comment then! I’d love to see your goals and follow your progress! Ah, you didn’t stumble upon any of my posts yet? I’m glad you found me now, then! I already wrote some posts about some of the goals, last weekend I even completed my first goal! And there’s more to come very soon! Glad you like it! Your list is so much fun!! You’re right, we do have a lot of similar items on our lists. Great minds think alike 🙂 Good luck with yours! Thanks! I must say, I do have a lot of fun up until now by doing the things on my list. I hope you are enjoying yours as well! What a sweet comment, thank you! It would be great if I could inspire you in any way. Do you also blog about your goals, or are you going to? I’d love to read about yours as well! I like the goals you have already listed on your blog! I’m really curious about the rest 🙂 And you’re right, it will push you a little bit harder, knowing you have to tell the world whether you failed or succeeded. At least, for me, that’s a big motivator. And also, because of my blog, people keep mentioning my goals to me in real life. That also helps! Good luck with your goals! I can’t wait to read more about them! I love this,it’s a little bit like having a bucket list but one that actually has action behind it! Such a great idea. I think I may create one myself! Jaar, voor je 30e, hele goeie! 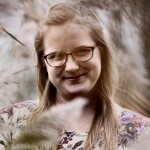 Als je een keer wilt babbelen over doelen, dan weet je me te vinden, hè?